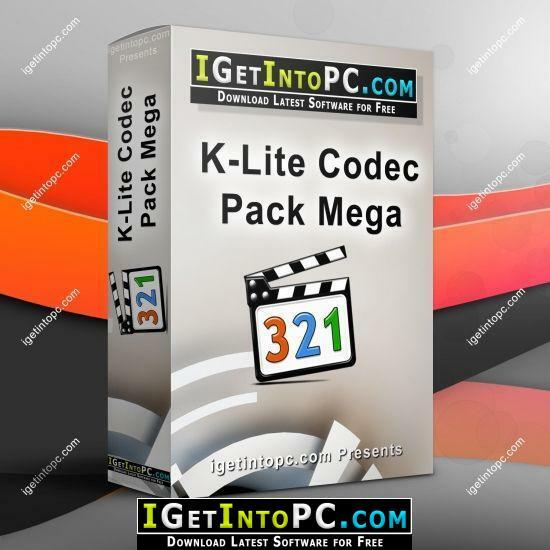 K-Lite Mega Codec Pack 14.7 Free Download new and updated version for Windows. 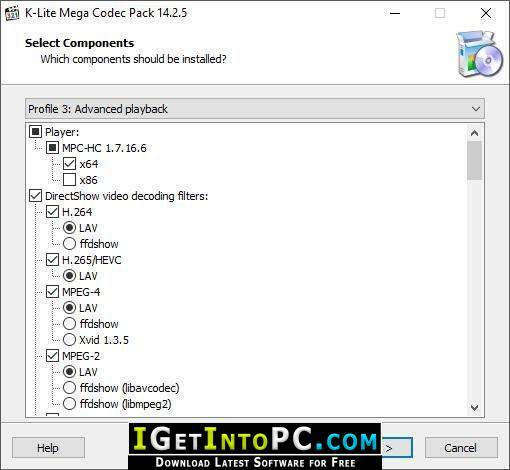 It is full offline installer standalone setup of K-Lite Mega Codec Pack 14.7 Free Download for compatible version of Windows. Program was checked and installed manually before uploading by our staff, it is fully working version without any problems. The K-Lite Codec Pack is a collection of DirectShow filters, VFW/ACM codecs, and tools. Codecs and DirectShow filters are needed for encoding and decoding audio and video formats. The K-Lite Codec Pack is designed as a user-friendly solution for playing all your audio and movie files. With the K-Lite Codec Pack you should be able to play all the popular audio and video formats and even several less common formats. You can also download VLC media player 3.0.6. The pack works on all versions of Windows from XP up to Windows 10. The intelligent installer automatically adapts itself based on your version of Windows. It also adapts itself based on what other codecs are already installed on your computer. Contains both 32-bit and 64-bit codecs. The installer is able to detect broken codecs and DirectShow filters on your system, and helps you to fix those problems. This unique functionality has helped thousands of people solve problems they were unable to fix themselves or with other packs. You can also download GOM Player Plus 2.3.36.5297. Below are some amazing features you can experience after installation of K-Lite Mega Codec Pack 14.7 Free Download please keep in mind features may vary and totally depends if your system support them. Operating System: / Windows 7/ Windows 8 / Windows 10. 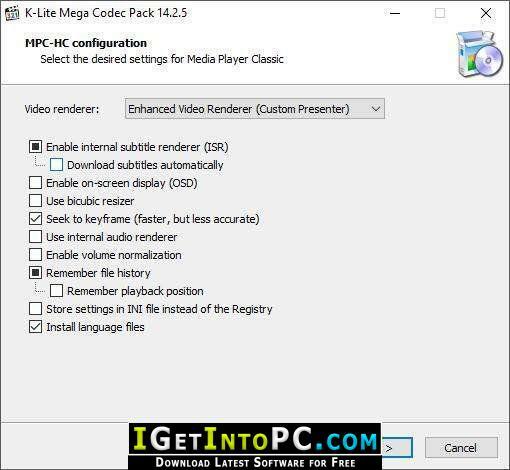 Click on below button to start K-Lite Mega Codec Pack 14.7 Free Download. This is complete offline installer and standalone setup for K-Lite Mega Codec Pack 14.7 Free. This would be working perfectly fine with compatible version of Windows.